I’m amazed that most health care organizations and their vendors that I speak with are still either not aware of the new HIPAA rules or are putting their heads in the sand. Many know that changes have occurred but don’t understand what that means for them. Even more prevalent are the Vendors that service Health Care Organizations not realizing that HIPAA now applies to them and that they are subject to the same penalties as their Medical clients. 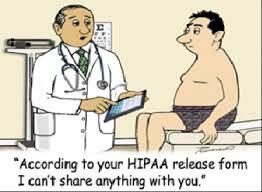 Lets look at a few things to consider when looking at your organization’s HIPAA compliance. ← Windows XP End Of Support & Why You Should Care!